Výkonnější alternativa Raspberry Pi. Firma Hardkernel představila Odroid-C1. 4 jádrový ARM procesor, 1GB DDR3, 1Gb ethernet rozhraní, 40 GPIO, 4x USB 2.0, HDMI port. To celé za 35$. More powerful than Raspberry Pi. 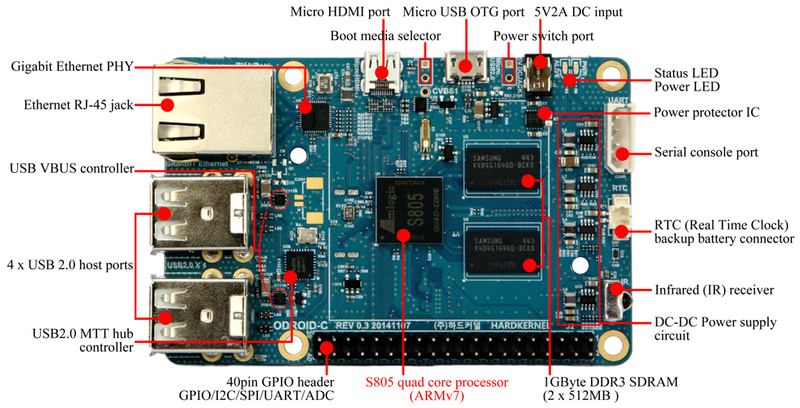 The Hardkernel company shows Odroid-C1. Quad core ARM processor, 1GB DDR3, 1Gb ethernet interface, 40 GPIOs, 4x USB 2.0, HDMI port. it costs 35$.